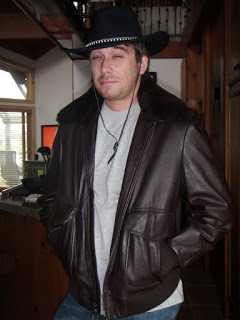 I’m in Utah! After spending the weekend in Park City with my family, we took a couple day trips to Sundance and hiking around the area. Here are a few quick pictures to start off our trip! 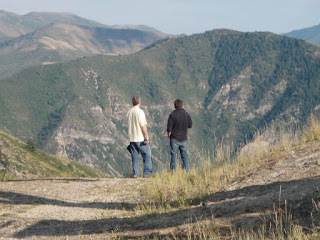 My dad and Matt at the top of the Sundance ski mountain…we took the ski lift to the top, and enjoyed our coffee while admiring the views. 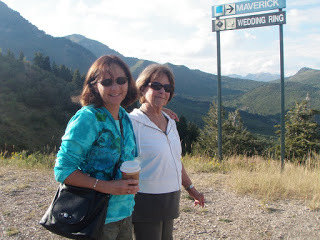 My mom and Nana debating about whether to take the Maverick or Wedding Ring runs back down the slope! 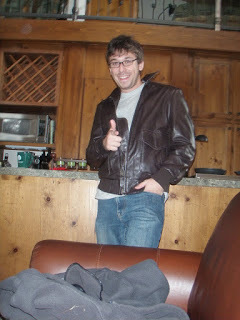 Matt’s new leather jacket from my Uncle Ken…a Fonze in the making! 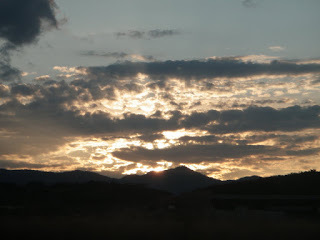 The sunset driving home from Sundance to Park City…I love the mountains!